The Power key is also a fingerprint sensor. up screen lock > Fingerprints. Home, Search, & Back KeysвЂќ on page 12). and should only take a few minutes. phone to turn it on. hour, see вЂњTransfer contactsвЂќ on page 22.
up just the way you want them. your information, in вЂњSecurityвЂќ on page 60.
the active call to reopen it. or wait after numbers, press Menu . Answer is just a touch button). a name from your Contacts. choose an option before you drive. вЂў To mute the current call, touch Mute. (like All calls) at the top. вЂў To clear the list, touch Menu . speed dial number in the Dialer. comes in, Call waiting lets you answer it. вЂў To restrict calls, touch FDN disabled. your legal and safety information. to show all of your panels. вЂў To open something, touch it. open the widget and touch Menu . or folders, or change wallpaper. panel, or to the trash can. to open a display keypad. or close the app menu. to sleep, use вЂњScreen LockвЂќ on page 60.
display, full keyboard, and touchpad. your phone as a controller. connect headphones or speakers too. computer with an optional dock. from the cable or dock. icons for status and Settings. and hold a blank spot in the text box. still touch the letter keys to enter it. display keypad to speak text or names. light at the top of your phone. switch on the unlock screen. More > Import/Export > SIM card. group name at the top. вЂў To show another view, flick left or right. phone number or other info. phone and your MOTOBLUR account. Where are contacts edited or deleted? Enter contact details, then touch Save. by showing one group at a time. then touch Add to add members. and choose the group name. screen, then touch Motorola widgets. (along with its contacts and messages). touch on the display keypad. Please donвЂ™t text and drive. вЂў To open a message, touch it. button that says Get HTML version. (along with other preferences for email). checkmark to turn off Gmail. then choose the Front or Back camera. Photo GalleryвЂќ on page 33. 2.Choose how you want to share. social network at the same time. вЂў To delete the photo, touch Delete. go to вЂњUSB Drag & DropвЂќ on page 51.
to resize, crop, or change the picture color. Video Resolution > Medium (QVGA). Video GalleryвЂќ on page 34.
вЂў To delete the video, touch Delete. 1.Touch & hold a video, then touch Share. keypad), then type the app name. been rated by your fellow Android users. Clear cache, or other options. 2.After you log in, touch Drive To. 3.Touch Address, then touch Type It. 4.Enter the address for your destination. magazines, in stores, and online. areas. Programs are subject to change. AT&T store or call 1-800-331-0500. Player for rich web browsing any time. surf the web or download data. > Settings > Wireless & networks. Reference, and Android Market for the open ..
current page to your list. BluetoothВ® ConnectionsвЂќ on page 46). click on the вЂњRipвЂќ tab. Note: CopyrightвЂ”do you have the right? phone should show in the status bar. connection window opens, just close it. ListвЂќ and touch вЂњStart SyncвЂќ. a вЂњMusicвЂќ folder on your phone. Remove HardwareвЂќ feature to finish. Search to look for a song. the song to return to the music controls. To turn off your music touch . and hold the playlist in the music library. appropriate data plan with tethering. Go, then type a website address. need to turn off Wi-FiВ® power. & networks > Wi-Fi settings. on to search for networks. touch Motorola widgets > WiFi toggle. pictures, and music stored on your phone. phone to the other DLNA device. with is in discoverable mode. 3.Touch a device to connect. features in France unless you are indoors. touch and hold a file to Delete or Share. memory card you need to unmount it. storage > Unmount SD card. network or a USB cable. phone to open the MPP home screen. network to open the MPP home screen! turn it off or touch the screen to snooze. status bar and touch the alarm name. synchronized with your Google Calendarв„ў. See, hear, speak, feel, and use. everyone, helping to make things easier. then say what you want to type. hold the phone close to your mouth. or shortcut will open it. number or letter is read out loud. > Call settings > Caller ID readout. Set a brightness level that works for you. please read the following guidance. > Call settings > HAC mode settings. voice replies on your phoneвЂ™s speaker. many provide useful accessibility features. find the app you want. вЂў Pattern - draw a pattern to unlock. need to unlock it to answer. up screen lock > Password. Enter a password, then touch Continue. again to confirm it, and touch OK.
the phone memorizes your fingerprints. up screen lock > PIN. confirm it, and touch OK.
or swipe your finger to unlock the phone. up SIM card lock > Change SIM PIN. Note: Your PUK code is provided by AT&T. 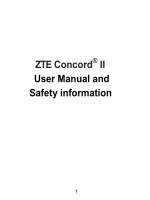 Factory data reset > Reset phone. on your memory card will not be deleted. break it, reset it, or even worse - stolen! all, restore all your stuff. phone if it is turned off or broken. link to locate your phone. user data on your phone will be deleted. contacts are backed up on MOTOBLUR. what you use, that can take a lot of power. only emergency calls can be made. the icons to the right of each mode). to music or taking pictures. networks > Bluetooth or Wi-Fi. Email > Get new email > Every hour. and turn on your phone. the battery could become very hot. cause the battery to swell, leak, or malfunction. damaged from dropping or high temperatures. exposure of the battery to any of these conditions. Motorola provides holograms on its batteries. purchase has a вЂњMotorola OriginalвЂќ hologram. may take more time to charge. responsibility when behind the wheel of a vehicle. application while driving may cause distraction. mobile devices and accessories in the vehicle. available) on your mobile device. stop use if you are tired. headphones and have your hearing checked. after such use, stop use and see a physician. is replaced by a qualified service center. (1 inch) from your body when transmitting. 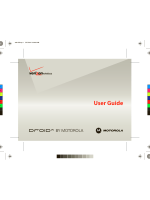 our Web site at: www.motorola.com. power level at which your mobile device transmits. exposure of human beings to RF energy. mobile device just like you would a landline phone. consult airline staff about using it in flight. before using this mobile device. device to minimize the potential for interference. highest certified power level in all tested frequencies. uncertainty range for this product. are designed to be within the guidelines. productвЂ™s label in the вЂњSearchвЂќ bar on the Web site. the format FCC ID:xxxxxx on the product label. operate the equipment. See 47 CFR Sec. 15.21.
undesired operation. See 47 CFR Sec. 15.19(3). System (GPS) signals for location-based applications. GPS uses satellites controlled by the U.S.
location technology on your mobile device. wireless service provider for details. may impact driving. Always obey posted road signs. вЂў Position your mobile device within easy reach. let your voicemail answer it for you. from your primary responsibilityвЂ”driving safely. attention away from the road. (wherever wireless phone service is available). wireless phone service is available). where this feature is available. the deviceвЂ™s security, install it as soon as possible. personal data to transfer to a new device. that require location-based information (e.g. any connector covers are closed and secure. dryer, as this may damage the mobile device. sand, food, or other inappropriate materials. contact your regional authorities for more details. on it, the following explanation applies. vary in the amount of interference they generate. to distribute or reproduce the copyrighted software. packages used in those applications. re-exportation of this product to certain destinations. not required for warranty coverage. can select from a number of customer care options. consumer usage for the period(s) outlined below. and tear are excluded from coverage. the fault of Motorola, are excluded from coverage. Use of Non-Motorola Products and Accessories. Software is excluded from coverage. in the software products will be corrected. Software that is not embodied in physical media (e.g. provided вЂњas isвЂќ and without warranty. purchaser, and is not transferable. contacts, games and ringer tones, will be reinstalled. please create a back up prior to requesting service. THESE DAMAGES MAY BE DISCLAIMED BY LAW. delivered by HSPA+ with enhanced backhaul. AT&T Intellectual Property. All rights reserved. void the userвЂ™s authority to operate the equipment.